Not only this, the last year (2018) proved to be a hit one for Vicky as both of his films Raazi and Sanju proved to be massive hits. Now, all of his last three films have earned praise for him. Besides him, Uri stars Yami Gautam, Paresh Rawal, among others. It is still faring well on home turf. In its 24 days of run, Uri has collected Rs 189.53 cr including Rs 8.71 cr that it made on 24th day (4th Sunday). Prabhas starrer Baahubali 2 was able to made only Rs 7.80 cr on its fourth Sunday. This is not all, it has been making more money compared to the newer releases like Kangana’s Manikarnika: The Queen of Jhansi and Sonam Kapoor’s Ek Ladki Ko Dekha Toh Aisa Laga. Trade analyst Taran Adarsh took it to micro-blogging site Twitter to share the box office numbers of Uri. He shared that the film has turned into a monstrous hit. Ronnie Screwvala produced it under his banner of RSVP Movies. The film is based on real incident that took place in 2016. Indian Army destroyed seven terror launchpads in Pakistan across the Line of Control (LoC) in response to a terrorist attack at Uri base of Indian Army which engulfed many lives. The movie also stars Mohit Raina, Rajit Kapur, and Kriti Kulhari in important roles. 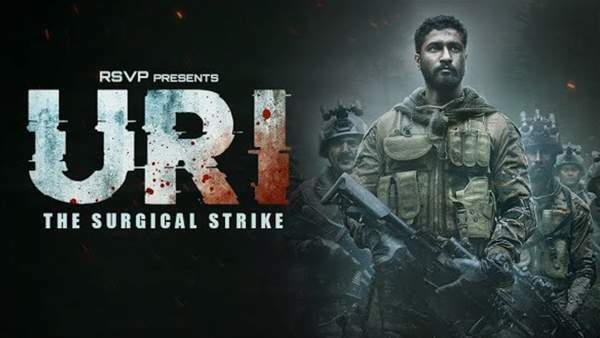 Uri saw an increase in its collection on 4th weekend owing to holidays. But, 25th day (4th Monday) is a normal working day, so it registered a significant drop in occupancy and thus collections. It collected a record Rs 2.75 cr making its total 25 days collection to Rs 191.94 crores. Now, it is facing competition from new releases like Manikarnika and Ek Ladki Ko Dekha Toh Aisa Laga. Game of Thrones Season 9 (GoT S9) Release Date: Will There Be Any Sequel To HBO’s Fantasy Series?